The finest storable foods at unbeatable prices. From freeze dried to delicious canned meats. our Patriot T-Shirts and Hats. powered radios, chargers, & lighting. Simply the best water filtration systems! The Propur® Traveler system is small in size for portability and is great for use in tight spaces. The system requires no electricity to provide reliable water filtration just about anywhere whether at home, office, vacation, camping or college dorm! Works with just about any water source including tap, lake, river, stream, pond and rain water. The Propur® Nomad stainless steel water purification system is economical, convenient and easy to use. The system requires no electricity to provide reliable water filtration just about anywhere whether at home, office, vacation, camping or college dorm! Works with just about any water source including tap, lake, river, stream, pond and rain water. Propur® Fruit Infused Water Filter Pitcher Removes more contaminants than other brands while retaining beneficial minerals*. Homestyle Quick Entrees Bucket – FREE SHIPPING!!! Homestyle Quick Entrees Meal Food Storage Bucket 60 servings of delicious homestyle meals, packaged for long term food storage and delivered in a convenient plastic bucket for easy storage. Comprehensive broadcast coverage includes AM, FM, SW1 and SW2, plus all 7 pre-programmed national weather channels with real-time alert. 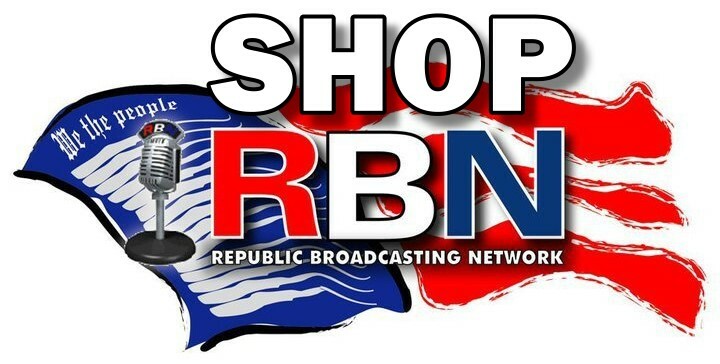 At Republic Broadcasting Network, we feel the products we promote need to be quality, useful products. No frivolous gimmicks or nic-nacs, just products for the way you think and live. If you find a product here, you know it is a top-notch product and 100% backed by RBN.